By Melissa Lennig on May 14, 2017 1 Comment. This content contains affiliate links. As an Amazon Associate I earn from qualifying purchases. 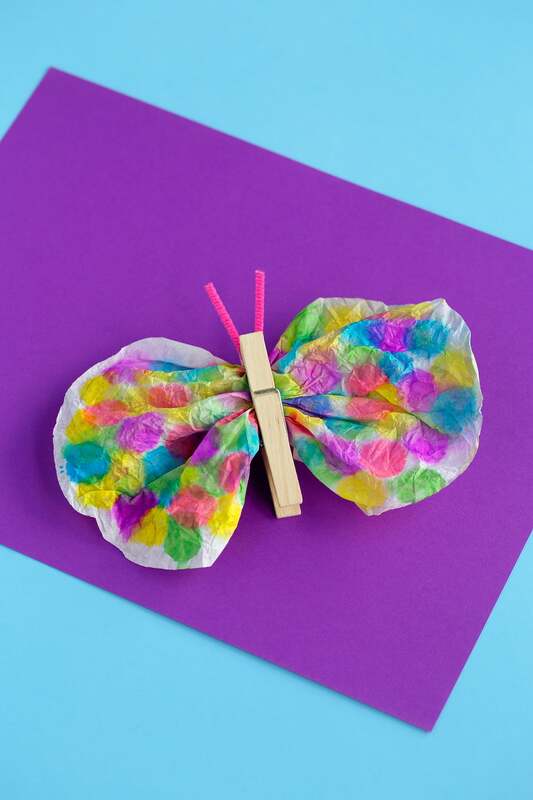 In this post, learn how to make a classic coffee filter butterfly craft with. 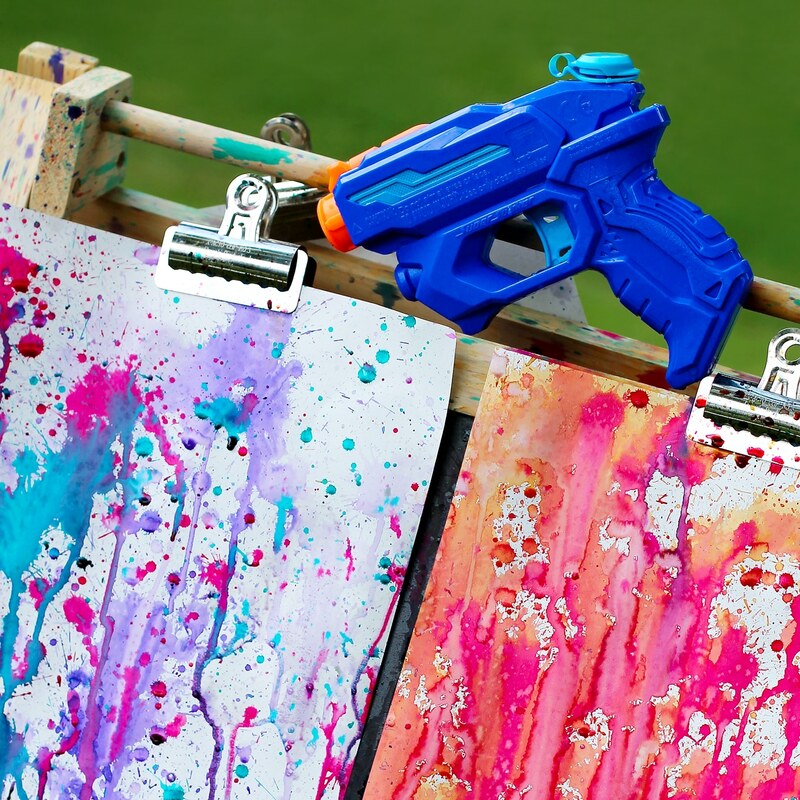 It’s the perfect easy craft for summer! 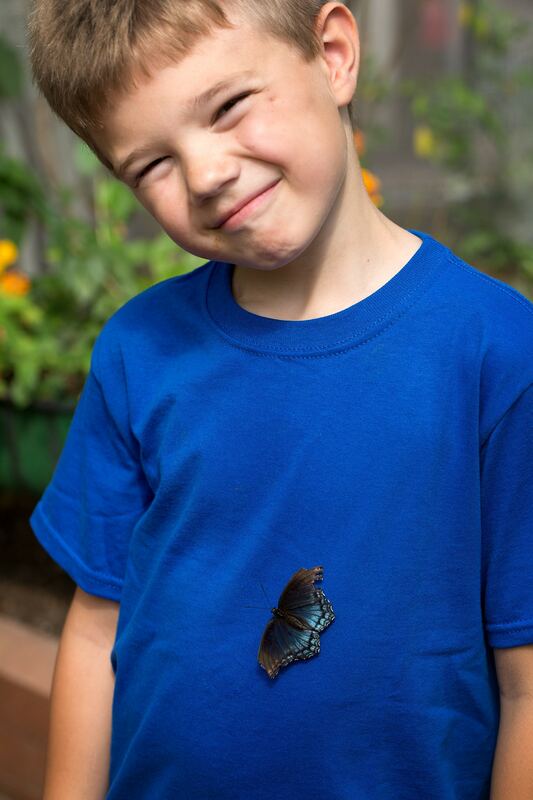 Last summer, my kids and I discovered an amazing local butterfly house. Filled with blooming flowers and incredible butterflies in a variety of colors, it quickly became one of our favorite places to visit. There is just something so amazing about a beautiful, fragile butterfly choosing you to land on! The butterfly house isn’t open yet, but we are looking forward to visiting again. 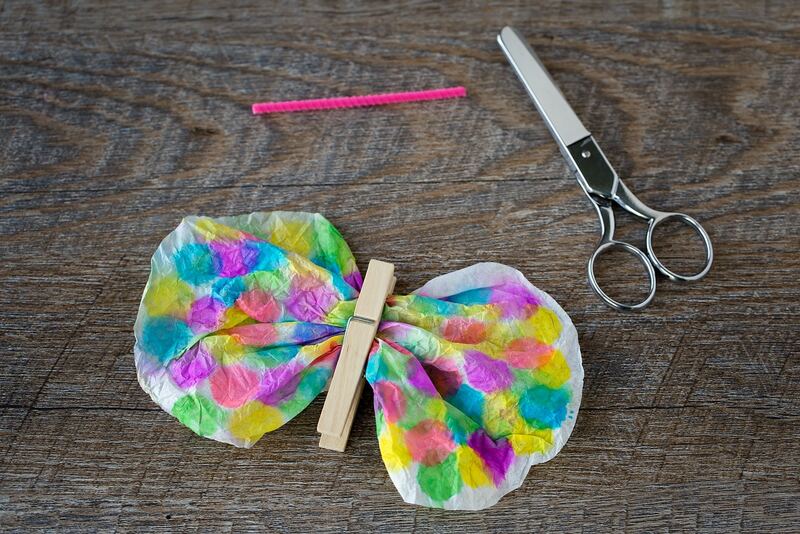 Until then, we are enjoying our colorful coffee filter butterflies. 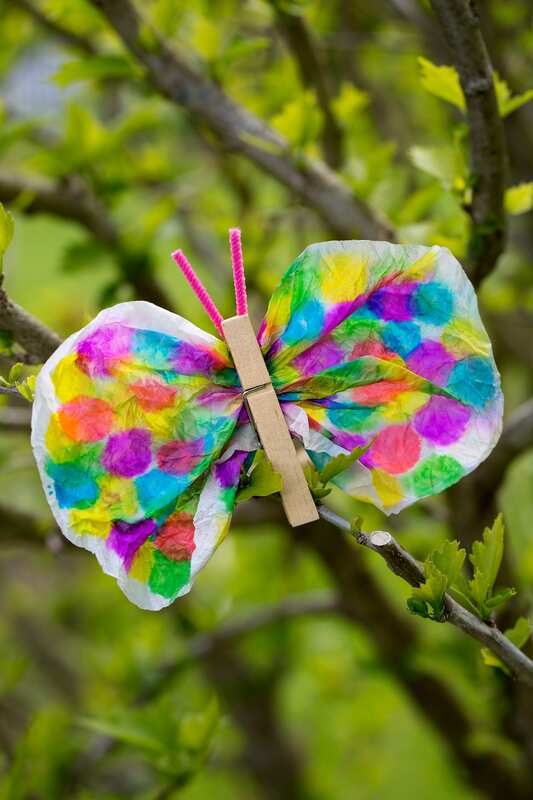 Not only is this craft lovely, but it is packed with fine-motor skills. 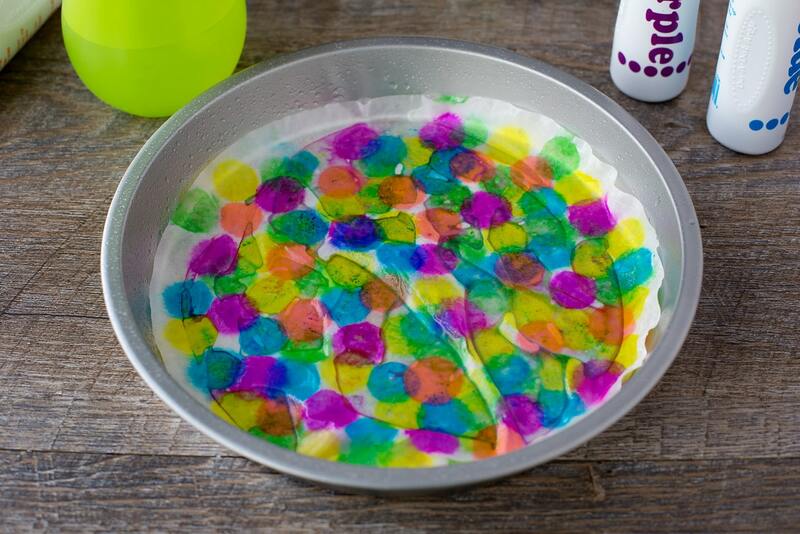 Dabbing, squeezing, scrunching, pinching…it’s perfect for kids! 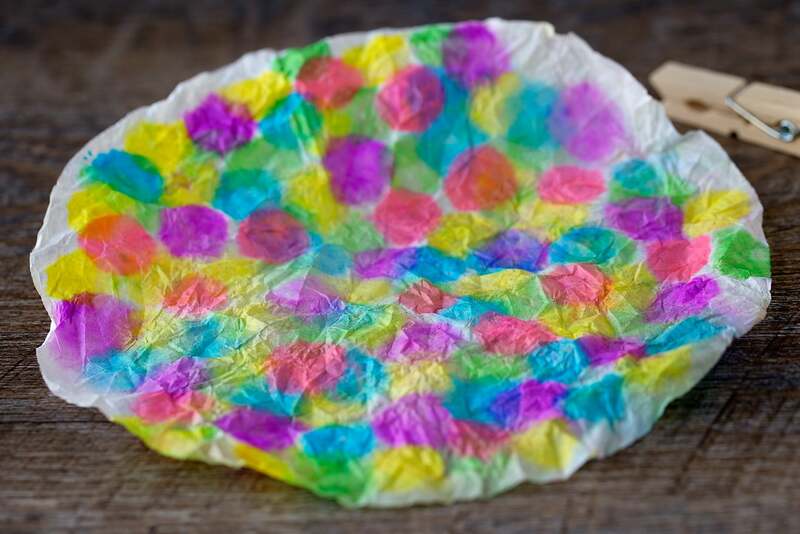 After gathering supplies, invite kids to smooth a coffee filter over a plate, pie pan, or stack of newspaper. 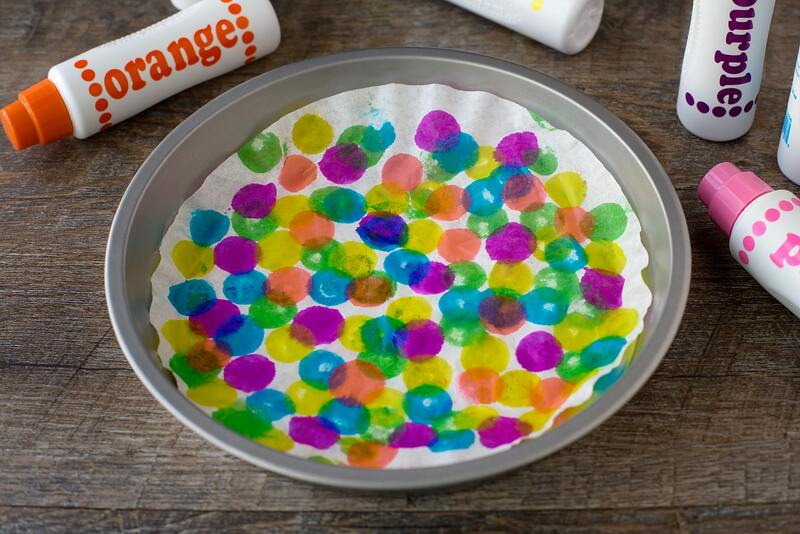 Invite kids to dab the coffee filter with Do A Dot Art! Markers. Be sure to use a variety of colors! Don’t you love how vibrant they are? 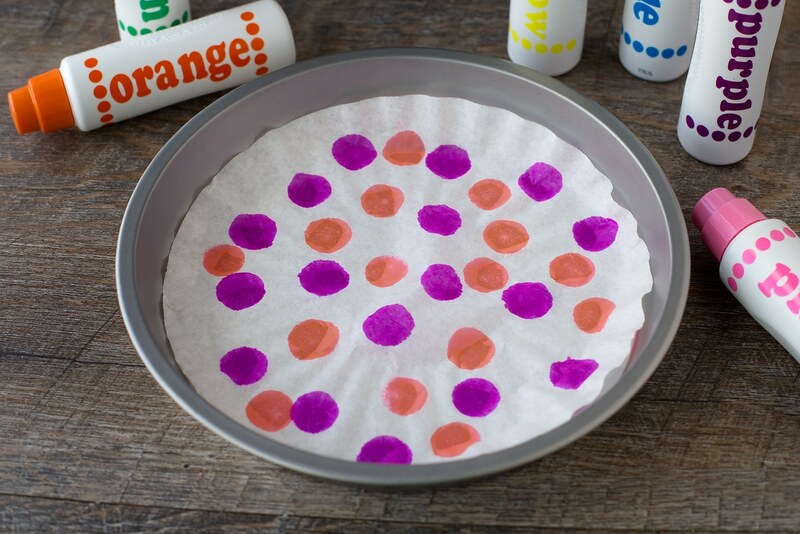 When kids are done dotting their coffee filter, invite them to spray water all over it. We sprayed our inside, but this part is also fun to do outside. 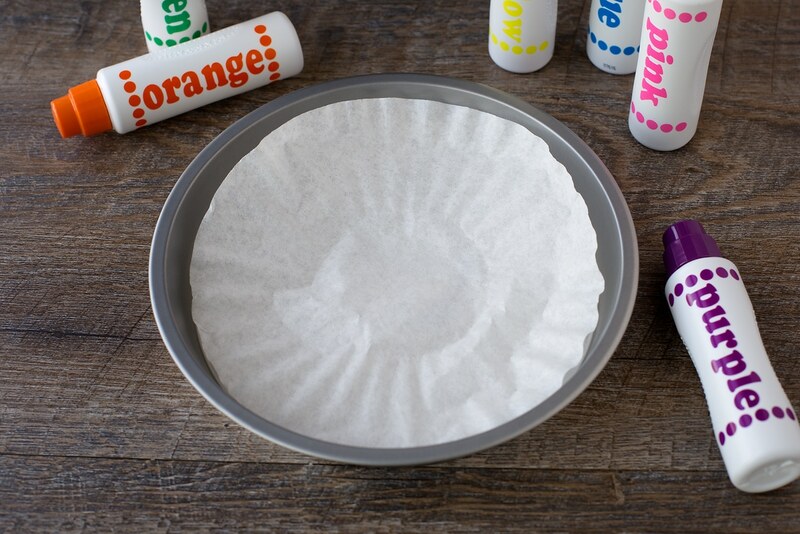 Allow the coffee filter to dry completely. 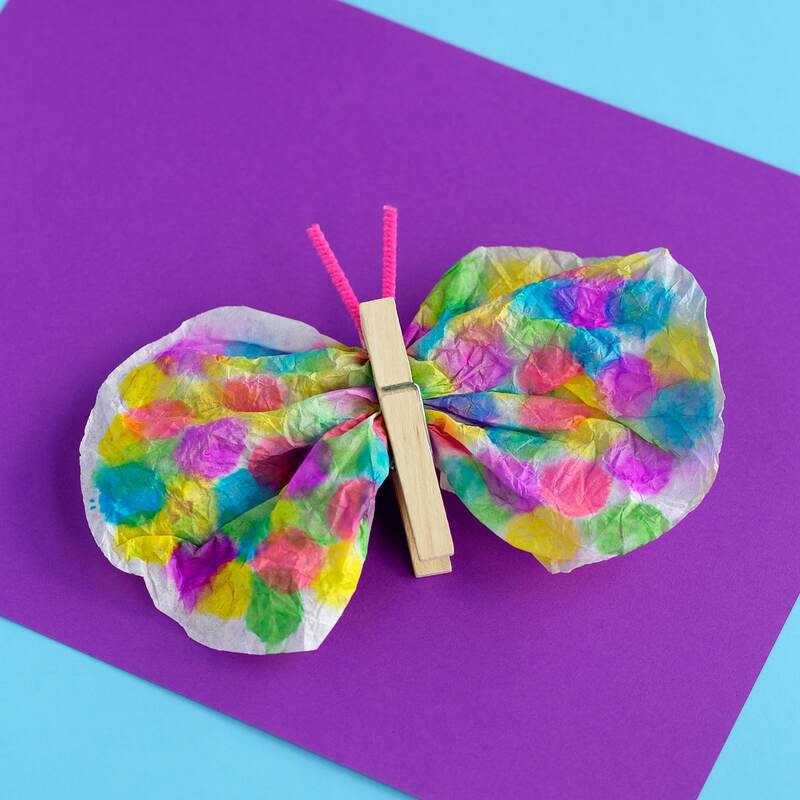 When the coffee filter is dry, scrunch the middle of it into a butterfly shape and secure with a clothespin. Cut a small length of pipe cleaner, then fold it into a V shape to make antennae for the butterfly. Slide the pipe cleaner into the clothespin. If desired, secure the clothespin with a small dot of tacky craft glue. 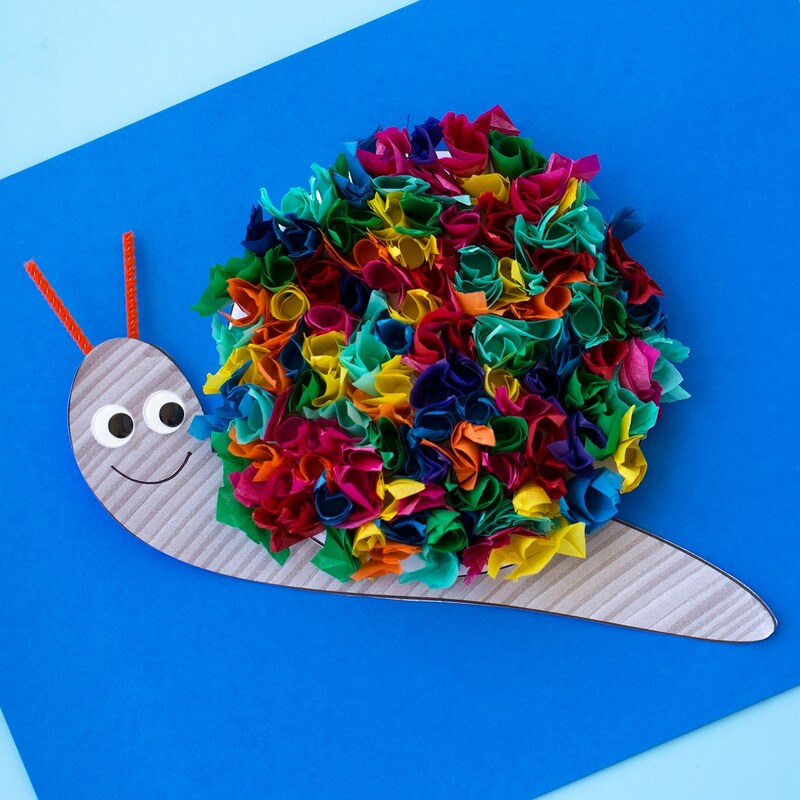 Click the images below to view more colorful summer crafts for kids! Thanks for the great craft projects, my grandkids will have a blast making these.